​Courtyard Beautification and Yard Sale!! 3/25/17 - We had a fantastic group of parents, teachers and paras who came together and made GREAT strides in our courtyard! Special thanks to Ms. Aland! The garage sale was a wonderful success! Thanks so much to Jazmin Garrido for heading that up! 3/23/2017 - We had quite a treat on Thursday, March 23 when the 4th and 5th grade Orchestras, Bands, the Huntley Hills singers, Tiger Beat, the STEP Team and the cast of Aladdin performed for us. We have some super talented kids at Huntley Hills! Huntley Hills named a Title 1 High Progress Reward School! As of 3/17/17, both online and offline pledges add up to over $15,000!! Fueled by Fitness 2017 - Super Hero Edition is here!! Fueled by Fitness is a home-grown fundraiser that Coach Spaulding and PTA created and manage so there is no company taking a huge percentage of the money raised. Far and away, this has been our biggest fundraiser for the last several years. We don’t sell wrapping paper, cookies or knick-knacks at Huntley Hills Elementary. Our pledge-a-thon style event can fit every budget, allows friends and neighbors to support the school, and encourages the students to be active with support from Coach Spaulding and a Fun Run at the end! The funds raised in 2017 will be going towards teacher training, continue (and hopefully complete) the improvements to the library and around the school, including the last planned upgrade to the Staff Lounge of purchasing a new refrigerator! Last year, the money raised from Fueled by Fitness paid for teacher training, a newly painted Media Center and some of the new furnishings for the Media Center. The improvements to the Media Center have been a joint effort between Dr. Ford, Mrs. Kuutti and the PTA to make the space more inviting with new carpet, new move-able book shelves that allow for better presentation of various items available for students, support for Maker Spaces and new “spring” style computer stools. In true fun-run style, we expect that each student will be running between 20 and 30 laps. We have jazzed up the run for the last two years with some fun props and this year will be no different! Our pledge-a-thon will end with a Fun Run at the school for the kids to participate in on March 17!! The online system is easy and you can sign up at https://99pledges.com/fund/huntleyhills and locate your student by finding their teacher’s name. You will then be able to send a link to friends and family who don’t live close by but would like to support your student. There is also a traditional paper pledge sheet where you send the pledges in to the school and there will be an online pledge sheet for you to send to friends and relatives that don’t live close by so that they can easily help to support our school. The online pledging system will keep track of the online pledges for prize distribution. Prizes will be handed out about twice a week. 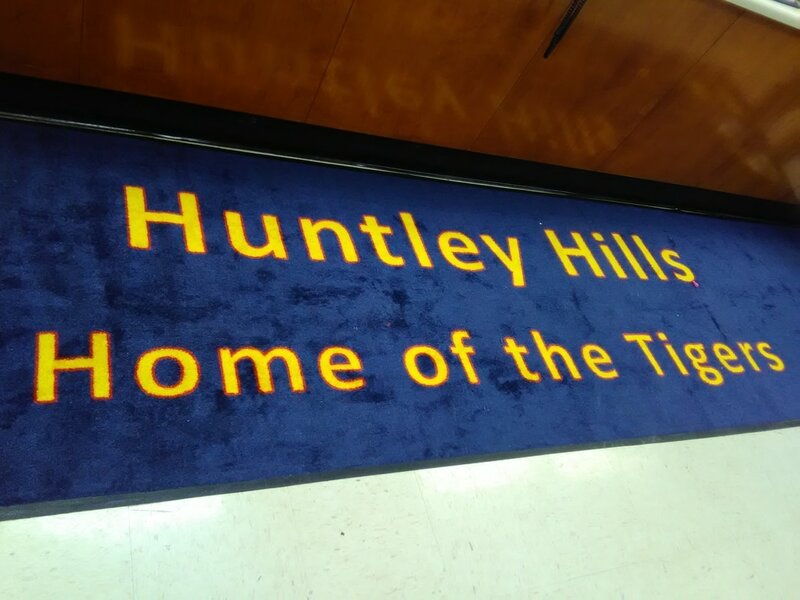 The PTA is very excited to continue what has become a new tradition at Huntley Hills! Our new STEP Team had their first performance at STEM Day and it was amazing to see how far this group of young ladies has come in only a month or so of practices!! Stay tuned for more great performances! Lost and Found - the Fashion Show!! Did you know that the Counseling Office has gently used uniforms for those who need them? This can be a great way to bridge the gap if you need to! If your student has outgrown some uniform items and they are still in good condition, feel free to drop them off to the Counseling Office. Our 2nd Annual International STEM Night was a hands on experience for students and parents to learn about and experience STEM in action! We explored STEM around the world! Each grade level tackled a real-world problem and students presented their research and their solution and demonstrated how their solution would work. Using their STEM knowledge/process, our students worked to solve problems from water filtration to invasive species! We also listened to music, saw examples of art and sampled food items from that country. There were also various STEM activities set up around the building - from Bee Bots (they are so cute!) to LEGOs to Little Bit circuits and Makey Makey! Various puzzles/brainteasers were posted in the halls with markers so that you could write down your answer. And last, but not least for the students, Minecraft edu was set up in the computer lab! It's tough to come back from the winter break but we should all just look to Mrs. Perdue's door for some inspiration that it's "Time for S'more Learning!" 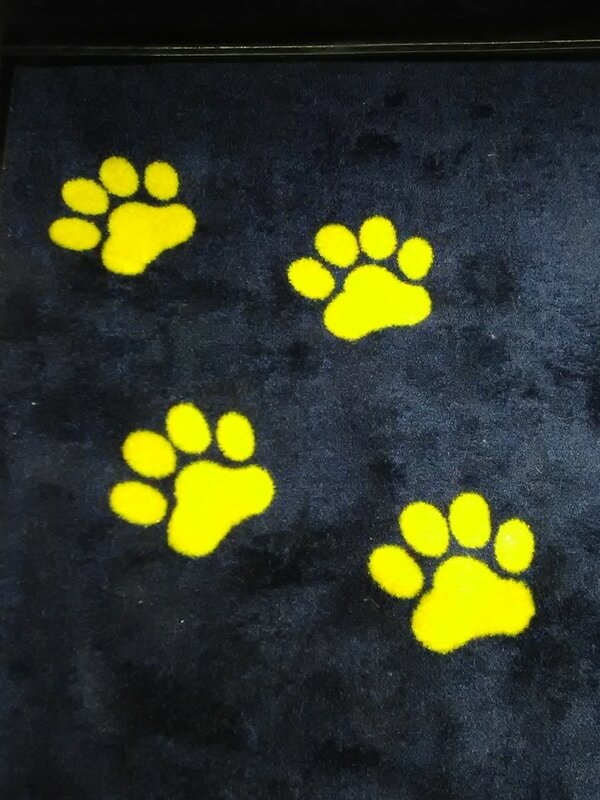 Dr. Ford ordered some new mats for the entrances and new carpet for the office! Students from Ms. Neck and Ms. Moore's classes visited Georgia Tech's Robert C. Williams Paper Museum where they made their own piece of paper and toured the paper-making museum. With the health and safety of all students and staff being a top priority, DeKalb County has contracted with an outside vendor, Atlanta Environmental Management, Inc. (AEM), to test the water at all schools for lead. This testing began on September 20, 2016. While all schools and facilities will be tested, the initial schools were chosen based upon the age of students (with priority given to schools with Pre-K programs) and the age of the facility. 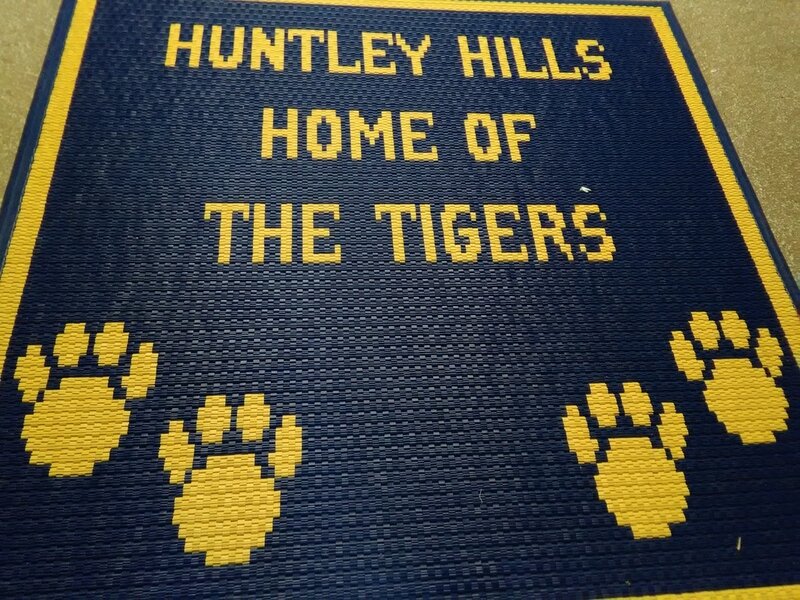 Huntley Hills is scheduled to be tested on October 25, 2016. Drinking water sources will be sampled twice to ensure compliance with Environmental Protection Agency (EPA) guidelines for schools. If any sample indicates a presence of lead that exceeds EPA action levels, the school will be instructed to immediately stop using water from that source. There is a 2-3 week turn-around window for results. As soon as we have the results of our test, all parents will be notified. More information on the County's lead testing, including methodology and a fact sheet, can be found at www.dekalbschoolsga.org/lead-testing. ​drones to inspect roofs as part of the inspection and quote process. good questions of our guests. Thank You to IDEAL for coming out and allowing our students to see how technology is used all around us! ​The first STEM Night of the school year was on Thursday with much to see and do! The Book Fair was open and Dr. Ford talked about the MAP testing and how it is a part of Gifted Eligibility - details are posted under the MORE tab on the menu. Our STEM challenges were: build a catapult out of popsicle sticks, a rubber band and a spoon; save Fred the Gummi Worm using paperclips and a gummi lifesaver without touching Fred or his capsized "boat;" and make a hover-craft out of a cd, a straw, duct tape and styrofoam. Be sure to come to our January STEM night for more hands-on team activities! Today we were fortunate enough to have Larry Shutts and Michelle Savant come and talk about art conservation with our students. They brought a 200 year old painting of George Washington as an example of what moisture can do to art and then talked about how the restoration process works. The art restoration process is almost exactly like the engineering process that we have been using in STEM activities. IMPROVE: What works? What doesn't? What could work better? Modify your designs to make it better. Test it out! Thanks for coming out to Huntley Hills Elementary! ​The PreK and Kindergarten students invited their grandparents or other special adult to come and have lunch with them. Check out all these happy faces! We have a new boiler!! Getting a new boiler may not seem website worthy unless you've been here when the heat just wasn't working in the building. The work crew that was putting the new one in and took the old one out said they were pretty sure that the old one was original to the building...1963. Perhaps we should name this one?? Brad the Boiler has a nice ring to it. The parents on the Huntley Hills PTA Board, Huntley Hills School Council and Huntley Hills Education Foundation have all voted unanimously to support the following position in regards to the Facilities Use and Feasibility Study that DCSD has been conducting. Please feel free to contact any member of the these groups to ask any questions you may have. Fernbank Science Center shows 3rd Grade all about chemical reactions!! Fernbank Science Center came out to HH to talk with the 3rd graders all about chemical reactions. A variety of students were able to be "lab assistants" and everyone in the cafeteria could see since they used a camera to allow the students to see what was going on. They made "styrofoam", used thermochromic paper (paper that changes color when hot) and measured how hot a piece of the space shuttle got when a blow torch was used on it to mimic it going through the earth's atmosphere (over 400 degrees) on one side and then measured what the temperature was of the side not put to the blowtorch (about 74 degrees) - the students learned that sort of material is called an insulator. If you have a third grader, feel free to quiz them! PTA purchased and assembled the new entry furniture! Thanks to Katja Lauterbach for helping us with the selection! And thanks to Scott Gillispie for putting it together! It looks great! August 26, 2016 - Pre-K through 3rd grade students gathered at Hippo Hopp to have fun and blow off some steam at the end of the week. Thanks to Hippo Hopp for donating a percentage of the proceeds back to Huntley Hills Elementary! Spirit Nights are a great way to help support our school and the local business community. Upcoming Spirit Nights include ChickFilA and Mad Italian!! One of our newer traditions here at Huntley Hills is having Popsicles on the Playground on the first Friday of school. The event is sponsored by the PTA and is a very popular way to celebrate the first week back at school!